"Today, I announce my retirement from track and field. Ray Lewis and I decided, its time to go. I’d like to say something cool, more than 'its been a great ride', but all things considered it has taken me places that I never thought I would go. Mentally and physically." - University of Texas alum and two-time NCAA champion, Jacob Hernandez, announcing his retirement from track and field at age-27. 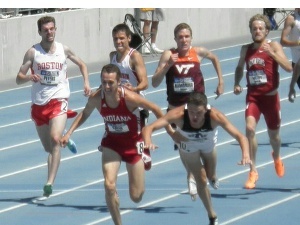 In the 2008 NCAA meet he beat out future-Olympians Andrew Wheating and Duane Solomon. Do Molly Huddle and Providence really train on concrete???? 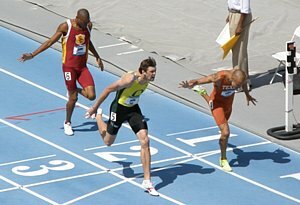 Could Nick Symmonds Threaten 1000 WR? What movies have you walked out of? 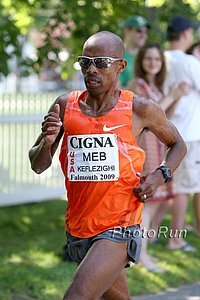 Loaded Fields Set For Houston Next Weekend:Meb Keflezighi Racing The Half As The Fourth Fastest Runner In History, Atsedu Tsegay Tesfaye (58:47), Is Chasing $50,000 Bonus For Breaking 58:23 WR They'll be up against last year's champion Feyisa Lilesa (2:04:52/59:22), 2:05 man Wilson Erupe, and Americans Luke Puskedra, Ben True, Aaron Braun, and Patrick Rizzo. In the men's full marathon, 2:05 Man Bazu Worku leads against Debebe Tolossa, Andrew Carlson and Fernando Cabada. For the women's full, 2011 NYC runner-up Buzunesh Deba leads against 2:23 woman Merima Mohammed and US's Tera Moody. 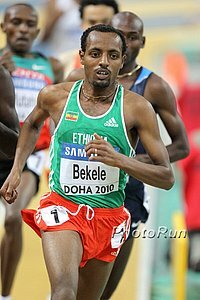 In the men's half, the fourth fastest half runner in history, Atsedu Tsegay Tesfaye (58:47), will chase the $50,000 bonus for breaking the 58:23 WR. The women half runners are led by Caroline Kilel, last year's full-marathon champ Mamitu Daska and Lisa Uhl. Lukas Verzbicas Says He's Back In Full Training And Will Race March 9th Talking about leaving Oregon he said, "I realize I made a rash decision to leave so soon probably not giving it enough time to get settled in and it seems karma has a funny way of working on us..."
Jamaican Sub-10 Sprinter Michael Frater Has Left MVP Track Club And Is Joining Usain Bolt Under Glen Mills As Part Of The Racers TC At this point the odds are against him to make an impact at the Jamaican World Champs Trials as he's recovering from recent knee surgery. 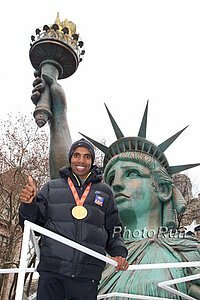 RunnersTribe Is Happy It's A World Cross Year Again The race is back, but still unlikely to return to its past glory unless top guys like Rupp and Farah actually go race. 8:03 Steepler Benjamin Kiplagat Of Uganda Is Still Dreaming Big After Subpar 2012 He only ran 8:17 this year as he had a bad back. He's still only 23. 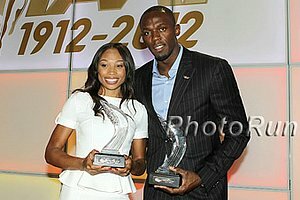 Memo To Merritt: Wouldn't It Need To Be A 4 X 100 Hurdles Race To Work? A Look At HJ Sensation Mutaz Essa Barshim Of QatarThe 21-year-old won Olympic bronze and then later cleared an incredible 2.39m thanks to help from Polish coach Stanley Szczyrba. 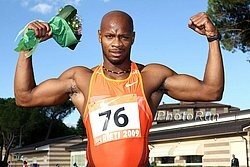 Asafa Powell Launches His Own Clothing Line Powell: "We are currently focusing on T-shirts now, but the ladies wanted to be included and wanted something a bit sexier, so we went with the booty shorts. The babies couldn't be left out so there are items such as onesies and even maternity wear." Need A Job? Rio 2016 Looking To Hire 250 New Employees There are 72 job openings with another 90 to be available soon. This includes openings in just about everything, for example architecture, finances, journalism, and medical services. Go here for job postings. UK Telegraph Writers Looking Forward To August 16, 2013: Another Gold For Mo Farah And Greg Rutherford He hopes to see Farah and Rutherford repeat some of the glory from "Super Saturday" with World Championships golds in the 5,000 and long jump. Athletics Weekly 2012 "Merit Rankings" For UK Male Athletes Is a statistical assessment to rank UK athletes in each event. Lists top 3 for each event. *UK Women's Merit Rankings Impressive that according to this, Jessica Ennis was the top 100m hurdler, high jumper, and heptathlete in the UK this year. It's A Bit Early, But ... The Wood Report's 2013 2013 NCAA Men's Cross-Country Season Preview The guy who did predictions for every D1 conference meet is already looking ahead to next year's NCAA XC season. Blogger: Why can't you like both? Racing to win and Racing for time. 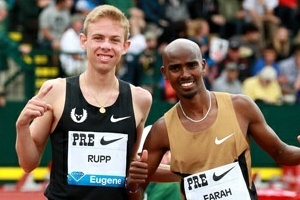 IAAF Preview Of Saturday's Bupa Great Edinburgh Cross-Country - Defar, Cheriuyot And The Unsponsored Bobby Mack! Bobby Mack is back to lead the US charge. *Profile On Joe Moore Who's Racing Today On His First National Team As Part Of Team USA Moore raced Club XC's not even knowing it was the qualifier and was the last man in after Alan Webb decided not to go. Other Top Names: Injury-Free During The Winter For The First Time In Three Years, Lisa Dobriskey Has High Hopes Again For The Year Ahead 2012 was nightmarish for Dobriskey, who overcame a hip injury and then blood clots and still made the Olympic final. We guess it shows you how good she is - 4th in 2008 and 2nd in 2009. 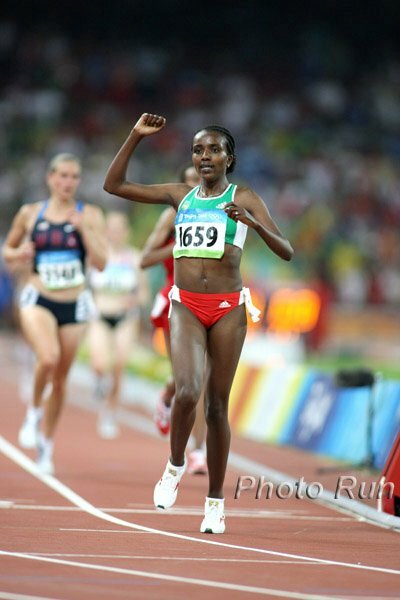 Interesting: Julia Bleasdale Races After Two Months Of Altitude Training In Ethiopia With Stints On Bekele's New Track The woman who was 8th in both the 5k and 10k at the Olympics has become good friends with Meseret Defar and Haile G.
Italy's Campaccio 10k XC Meet Tomorrow: Olymic 10000 Bronze Medalist Thomas Longosiwa, Leonard Komon And 7:54 Steepler Paul Kipsiele Koech Headline Also in the field are Scott Bauhs and Italy's Euro XC champ Andrea Lalli. 2011 World Champs steeple bronze medallist Milcah Chemos and 2007 World Champs 5000 bronze medallist Priscah Cherono lead women's field. Preview Of Sunday's Xiamen (China) Marathon The race is pretty darn strong. Peter Kamais won last year in a 2:07:37 CR, but the 2nd placer Dickson Chumba went on to run 2:05:46 - both are back. 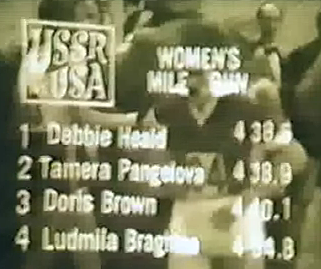 Will the women's CR of 2:22:38 fall? Kenya’s Eunice Jepkirui (2:21:41 PR) hopes so. International Society of Sports Nutrition Doubts Claims Of Energy Drinks They say caffeine and carbs are the only proven performance aids in the drinks. Where Did Mo Farah Learn To Throw The Javelin? UK former champion jav thrower Steve Backley says it's because the jav is a skill and not just about pure strength and apparently Farah tried the event out back in school. 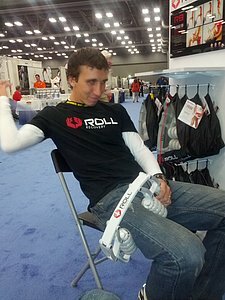 Good Read: 400m Hurdle World Champ Dai Greene Has Finally Put The Nightmare 4th Place Olympic Finish Behind Him And Is Using The Pain As Motivation For 2013 He's way ahead of where he was at this time last year as he was coming back from surgery and said, "I remember doing a lap in 2min 40sec and having this huge smile on my face because I’d been able to run without pain." 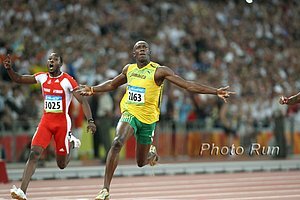 All-Athletics.com Says Britain Is Statistically The 4th Best Track Nation In The World The US took first for both men and women. Kenyan men were 2nd as the women were 3rd. 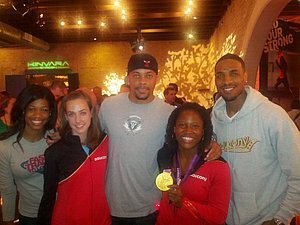 19-Yr Old British Heptathlete Katrina Johnson-Thompson Looking Towards Rio 2016 After Having A Career-Year In 2012 She broke Jessica Ennis' junior record and qualified for the Olympics even though coming into the year all her PR's wouldn't even make the IAAF qualifying standard. Jessica Ennis Trying To Push The Spotlight Off Herself And Onto Her Friend And UK's Top Squash Player Nick Matthew She says since it's not an Olympic sport, he doesn't get the attention he deserves. Fleshman Blogs About Meeting The Founders Of Oiselle Through Twitter 2 Years Ago Flshman: "At the end of 2010, Oiselle was a small brand. Nike probably made more money on winter glove sales in California than Oiselle did on their entire line that year." Joe Fejes Sets 72-Hour Running WR Distance Of 329 Miles He broke the previous record held by legendary ultrarunner Yiannis Kouros. Study Refutes Idea That It Is Harmful For Younger Teens To Run A Marathon Study included teens from 14-17 and found that marathon running is no more dangerous for teens than adults. January 5th: Team USA Heads To Great Edinburgh International Cross-Country Meet This Weekend The team is led by Club XC champs Jacob Riley and Mattie Suver. Men's roster also includes Craig and Matthew Forys and Bobby Mack. UK Javelin Thrower Gets 4-Year Doping Ban For Possession Of Multiple Banned Substances Police discovered the substances during a raid on his home. False: UCI Head Pat McQuaid: "I've Done Nothing To Warrant Resigning" Includes some interesting quotes from McQuaid on Tyler Hamilton and Floyd Landis and how they tried to get away with cheating. Who knows whom to believe?